People in the UK occasionally ask me why I chose to retire to Thailand. Well, apart from the friendly people, gorgeous women, cigarettes that cost a TENTH of those back in Blighty and the fact it doesn’t drizzle with rain all day, EVERY day – I would point to the HOUSING here. 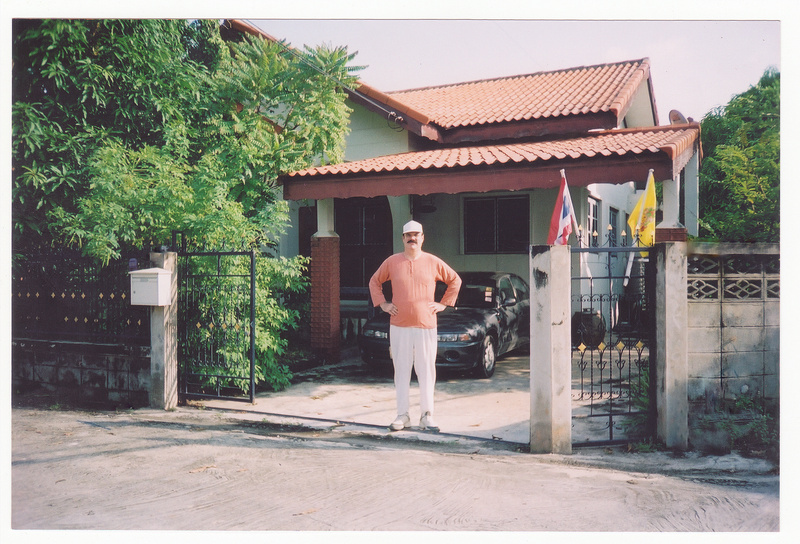 Whilst it’s true that in the outlying regions, some still live in boxes on stilts – I live in a high-ceilinged, three-bedroomed, split-level bungalow, with a large L-shaped living room, a kitchen, two full bathrooms, a verandah with a balustrade, a rear patio with a sauna, a roofed car-port and a large garden with three trees. Throw in an infinity pool and in the UK, you’d pay two thousand pounds a week for all that. But here in The Land Of Smiles, I pay less than two thousand a YEAR – or about eighteen pounds a week. In the UK, eighteen quid a week would get me a SHED, in GWENT. Hi, would you translate the money for an American? I am not certain of the money equivalence of Brit vs. USA. Thanks….. Certainly! Actually, in these columns – knowing MANY of my readers are in America – I usually quote ALL financial figures in Pounds and US Dollars – but this time, I forgot. Anyhoo – with the rate currently at GBP 1 to USD 1.68 – the figures quoted above come out at 3,360 bucks a WEEK for renting a posh house in the UK, versus the same here for a YEAR – and eighteen Pounds (UK slang: quid) is thirty bucks.